Jane Ireland lives with her family in London. She is a graduate of Liverpool College of Art and has an honours degree in Textile Design. In the 1980s, she worked as a professional textile designer. 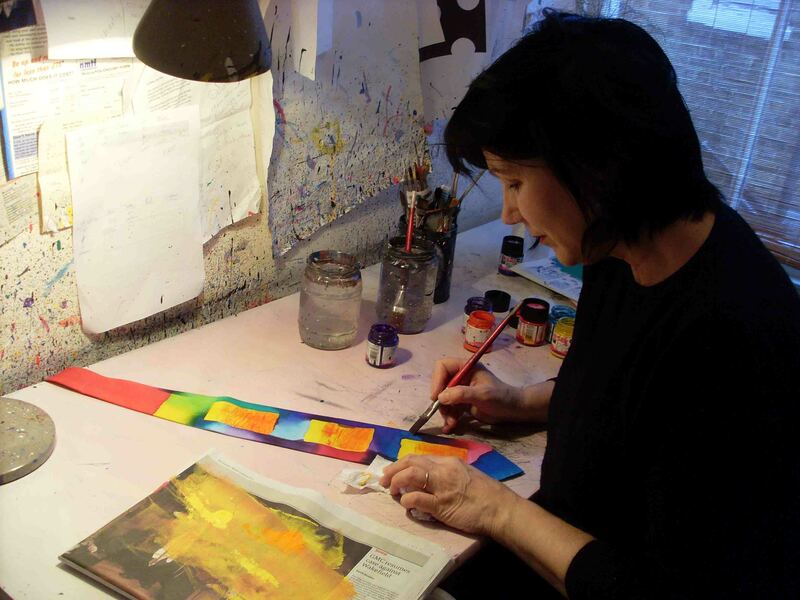 Since then, Jane has painted her silk ties in her studio south of the Thames. She sells her amazing collection from these webpages and from selected quality craft markets.